We are excited to join the TripAdvisor Hall of Fame for earning a Certificate of Excellence for the past FIVE years! We are honored to be in the Top Ten places to visit in the Richmond region. Thank you to our amazing tour guides, staff, and mostly to our wonderful Visitors! Come catch the Revolutionary spirit this summer... you'll be glad you did! Colonial Ray and a tiny delegate! Delegates to the Second Va Convention.. 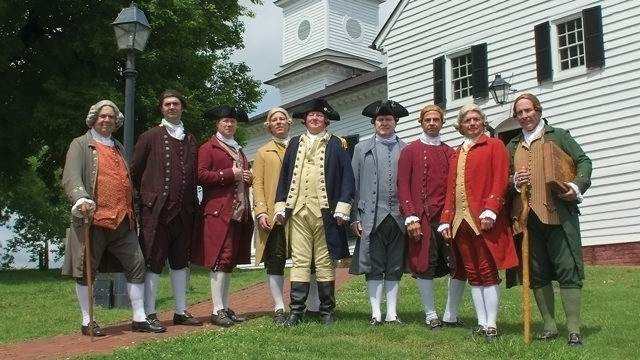 Which one is Patrick Henry? Three sisters and George Washington!